Classic Vision RID has now thoroughly established himself as a producer of performance and show horses, having dominated Dublin and Balmoral since 2005. He is now recognized as an essential sire line for showjumpers and eventers. His dam Lady Glen RID, an A grade mare, herself, by Flagmount Diamond RID contributes both performance and pedigree to Classic Vision's bloodline. In addition to her own showjumping accomplishments, she produced two international showjumpers Classic Vision RID and also Midnight Call ISH. He is the sire of 4 year old Showjumping Champion at the Royal Dublin Show and rated ahead of leading sires. 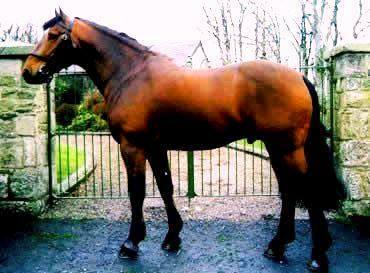 Still the most accomplished showjumping Irish Draught stallion ever.